Are you having trouble finding that special someone? 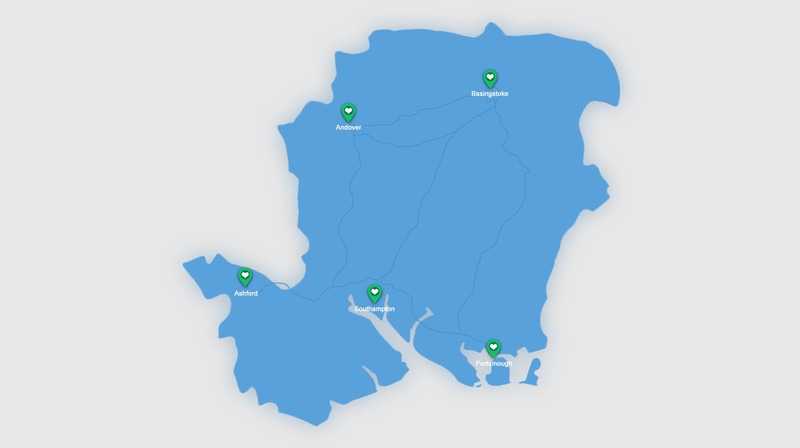 You’re not alone, in a county as big as Hampshire, it can be hard to find the right person, luckily Match Me Happy’s Hampshire Dating Site is the oasis for singles, from Ashford to Andover- you’ll find people who are searching for their soul mate and would love to get know you! Online dating is great because it’s for everyone which means you can find a whole host of individuals with whom you can bond and connect with. Gone are the days of worrying about how you’re going to juggle a string of dates whilst balancing work and social commitments. You can now establish a foundation with someone online. Based on your compatibility, you can reach out to other singles and form a relationship before you meet in person. Saving not only your precious time but feelings of dread, anxiety and disappointment. Becoming a member couldn’t be easier and what’s more, it’s completely free!. Within minutes you’ll have access to singles seeking love from Southampton to Portsmouth! Just sign in with your email address and you’ll be led to your personal profile where you can upload a photo. If you’re not sure what photo to pick, here’s an insider secret- choose a photo of you smiling or an action shot of you enjoying your favourite hobby! Avoid photos of you in a big group and ditch the bad quality snaps! Use our filters to add your match preferences, what exactly are you looking for? What’s your type? Blue eyes? We’ll also gather some lifestyle information too, it’s just so we can show you the best matches for you. That’s the benefits of joining the Match Me Happy’s Hampshire Dating Site- we willingly do all the work and send all our newest recommended members straight to your inbox. You’ve just got to sit back and let the matches come rolling through! It’s really important to us that you feel safe online, therefore we have support available from the moment you sign up! You can contact us anytime and our guide to setting up your profile means everyone can join with total ease. There has never been a better time to join! Dating should be an enjoyable experience and you’ll find once you’re a member of Match Me Happy’s Hampshire Dating Site your entire outlook on dating will be refreshed! You’ll be able to meet new, friendly people at a time and convenience that suits you, why would you have it any other way?